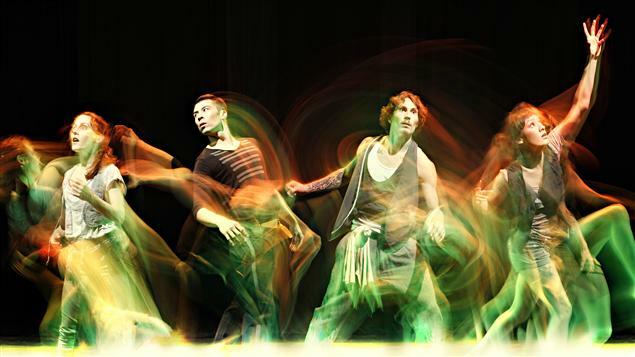 Guelph Dance is excited to co-present RUBBERBANDance Group this spring! You do not want to miss Empirical Quotient, with its combination of ballet, contemporary dance, hip hop, break dance and theatre. RUBBERBANDance Group is known for its creative risk-taking, innovative choreography, and melding of technical expertise and dance prowess with youth inspired movements like hip-hop. The result is a hybrid of physical expression, marrying discipline and tradition, with the sensibility of the street. This new work is co-presented in partnership with Guelph Dance. Presented by the River Run Centre, Empirical Quotient is a production of RUBBERBANDance Group and a co-production of The CanDance Network Creation Fund, Danse Danse, Grand Theatre Kingston, Guelph Dance, and Le Theatre Hector-Charland, and la Société de la Place des Arts, with the kind collaboration of the Segal Centre for Performing Arts.